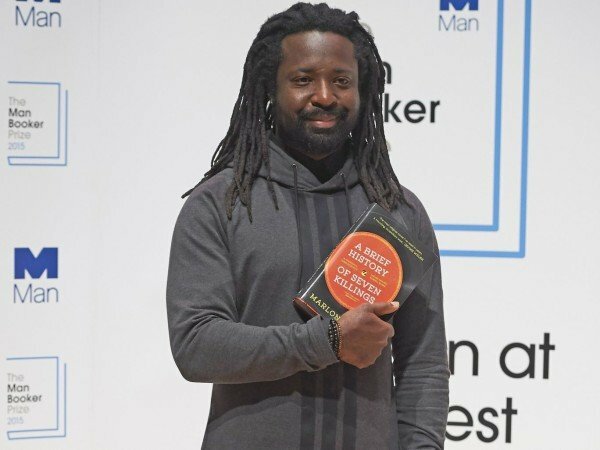 Jamaican novelist Marlon James has won this year’s Man Booker Prize for A Brief History of Seven Killings, a novel inspired by the attempted assassination of Bob Marley in the 1970s. Michael Wood, chair of the judges, described the 680-page epic was “full of surprises” as well as being “very violent” and “full of swearing”. Marlon James, 44, was announced as the winner of the £50,000 ($80,000) prize in London on Tuesday, October 13. Marlon James was presented with his prize by Camilla Bowles. The author admitted it was “so surreal” to win and dedicated the award to his late father who had shaped his “literary sensibilities”. Set across three decades, the novel uses the true story of the attempt on the life of Bob Marley to explore the turbulent world of Jamaican gangs and politics. Marlon James, who currently lives in Minneapolis, can expect a dramatic boost in sales following his win. After A Brief History of Seven Killings was named on the Booker shortlist last month sales tripled to more than 1,000 copies a week, according to Nielsen Book Research.